What’s happening? My body is reacting to everything! In the last decade, food allergies have increased 10 fold amongst children in Australia and major food sensitivities in adults are growing, with the main culprits being soy, corn, cereals (like wheat), dairy, legumes and eggs and even coconut is being seen on IgG testing as a growing sensitivity. It’s a phenomenon that is being seen in the literature but more importantly, in clinical practice. Each clinician I speak to see patients on a daily basis with these problems. Why? It’s been several generations since the beginning of packaged foods filled with hydrogenated oils, additives, preservatives, flavourings, colours, artificial sweeteners, hydrogenated dairy, hydrolysed proteins and wheat based sugars to name a few of the 1000’s of chemicals added. It’s also been four decades since the beginning of the hybridisation of the wheat grain and in that time, genetically modified foods have been infiltrated into most packaged foods. Another worrying trend; if a food is pinpointed as a health food then everything is made from that food. Almonds and coconut are a prime example and these are two foods that more people are becoming intolerant to or have sensitivities. Our animals that we consume are being fed vast amounts of antibiotics and fed foods that they would not normally consume in the wild. For example, cows in the 1980’s and 90’s were being fed meat and offal – not a suitable diet for cud animals that feed on grass and as a consequence, mad cow disease resulted. There is also the feeding of many of our cattle, chickens and pigs with genetically modified corn and grain products. We have had to contend with many chemicals being sprayed on our crops, as well as chemicals sprayed on food to help them to ripen or to stop them from ripening too fast. The deception has been across the food sector from the seed, to planting, to processing, to eating. On top of the food debacle, we have the untold medications that rule the family home, from painkillers, anti-inflammatories, statins, antibiotics, vaccinations and many more. These are not only part of the human predicament but also our animals that we keep as pets, as well as the ones we consume are being given many drugs. As each generation passes we become sicker, weaker and more prone to lifestyle diseases such as heart disease and diabetes, as well as a growing epidemic of autoimmune diseases and food sensitivities, allergies and intolerances. Obesity affects almost 60% of the Australian adult population, substance abuse, alcohol consumption amongst our youth is increasing and mental disorders are now at a rate of 1 in 5 in the population. The main theme to fix these issues is drugs and more drugs. Ritalin, dexamphetamine, Prozac, anti-psychotics and the like are given out to anyone who is feeling a little down or clinically depressed. Let’s just add one more thing – the chemicals we have in our home and clean our house and dishes with, as well as the chemicals we willingly put on our skin without any regard as to what is absorbed by the skin into the blood stream, which in turn becomes toxic and some have been known to cause hormonal disruption. Even more so, heavy metals that we are exposed to; lead and mercury are known toxins that cause havoc to health. The cord blood of pregnant women has been tested and found to have 200+ chemicals from the modern world, so we are exposed from birth to the ravages of modern life. We live our lives for the most part not listening to our body and mind, and dulling down the process of messages with the use of medication, food, alcohol or illicit drugs. We don’t sleep, we’re scared of the sun so we put sunscreens on, we work under ultraviolet lights and we spend most of our days sitting at a desk. Moving the body gets harder and harder and we make more excuses as to why our health is degrading and we can’t get out of bed. Then comes along a protocol that everyone is talking about. It is the miracle diet to help lose weight. After all, that is what most people go on a diet for. The protocol teaches you that this is not a diet for three or six weeks, but an educational diet in order for you to start listening to your body again. Understanding what inflames the body and what doesn’t. The idea is that you have begun a new way of eating, making sure you stay away from foods that may be causing irritation. The protocol is based on real food, the foods of the hunter gatherer. 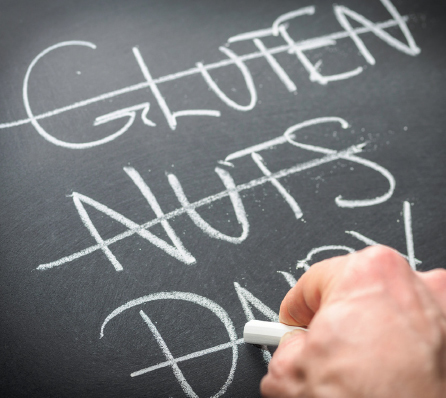 All foods that could possibly cause sensitivity or intolerances are removed – nuts, legumes, grains, dairy and seeds. There are no frills, no fancy foods, just REAL food. Millions of people have done this type of diet and more often than not, the hunter gatherer for 1000’s of generations survived on this diet every winter for up to 3 months and maybe even longer, depending on their environment and the food that was available. Even today we see tribes around the world living not only on these foods, but some tribes live on far less, from blubber and whale meat to blood, milk and meat and some tribes subsisting on yams and insects. In the 4 Phase Fat Elimination Protocol, thousands have been through the process, come out the other side and have done amazingly well, changed their life, learnt their lessons and they never go back to eating foods that may cause them issues. But then there is a group that becomes increasingly sensitive to foods. It seems no matter what they eat, it causes a problem. They may have health issues that occur as well as hair loss at times and the symptoms continue. More often than not, they cannot figure out what the food is that is causing the problem and their body gives them mixed messages. They then question the protocol, thinking that the protocol has caused the problem. For millions of years, we’ve eaten real foods. It’s what made the human species survive, we’ve had times of famine, times of drought and seasonal and weather influences. Food and humans evolved together. Now we are brought into an unnatural world. Some of us not breast fed, some of us born by C section at birth, some bought up on junk food and lollies all the time, and taking medications to stop listening to the signals of the body. We’re also exposed to 1000’s of chemicals. This is not just one generation but several generations. The world is becoming hostile to the health of humans and the generations that are passing are not coping, adapting or becoming robust in the changing environment. Our environment includes the air we breathe, the homes we live in, the sleep we get, the food we eat, the movement we do, the stress in our life, the offices we work in, the relationships we have, the thoughts we think and so on. New science confirms that the biggest influence on how the immune system works is the environment and not just the environment for the past 12 months, but the environment you have been exposed to throughout your life and the microbiome that has been passed down through generations. A new paper published January 2015 in “Cell”, a prestigious scientific journal has evaluated the effects of genes versus environment on our immune systems. The researchers measured over 200 different aspects of the immune system and compared them in identical twins ranging in age from 8 to 82. Then the authors compared the influence of genetics (by comparing the immune system parameters between twins) versus environmental factors, such as history of infection or toxic exposures, vaccinations, diet, dental hygiene and so on. It was found that 58% of their measures of the immune system were solely determined by environmental influences and not genetics. And, 77% of their measures of the immune system were dominantly influenced by the environment (that’s 58% plus another 19% in which environment has a bigger impact than genes). And, this influence of the environment (compared to your genes) was easier to see with increasing age, meaning the older you get, the bigger the effect of the environment. While what you eat is part of your environment, it’s important to look at other aspects as well. When we begin to want to change our life, people start at different points. Some begin with diet while others may go to movement, chiropractic care, spirituality, change of job, change of partner and so on. Where ever we start, it usually begins a ripple effect of change. If we only change one aspect of our life then the ripple doesn’t continue and things become stagnant. We are all individuals, we seek out the best way to do this. My belief is what has gone before determines the issues that plague some people. The problem is how do we know what will determine success or issues? If you are someone who has been in an environment that is not conducive to being robust and adapting to the environment or even a hostile environment for the body by being around lots of chemicals, heavy metals, not moving and eating the SAD (Standard Australian Diet) based on breakfast cereals, low fat milk, bread with margarine, plastic cheese on toast and lean cuisine prepared meals, then when you begin to clean up your food and environment, the body begins to clean up house. Think of it this way – you are in your home and you decide to declutter and clean all the nooks and cranny’s in one weekend. You begin by throwing everything out of the cupboards, pantry, fridge and places where you haven’t been for some time. It then takes hard work to throw out, clean up and reorganize what you need to keep. You begin to notice the house may be in a bit of disrepair because you have begun the clean out. Eventually, you get the job done and you begin to repair all that’s needed and you say you will never let your house get like that again. The clean out begins and the repairs take time. We could look at the body that way. Once you start the clean out, you begin to see and feel more vividly the problems that you may have been squashing for many years with food, medications and lack of movement. Detoxing the body by going abruptly from the SAD diet to a clean eating diet with minimal foods can trigger immune system and health issues due to the dumping of heavy metals, toxins and chemicals by the body out of fat cells and storage sites and into the blood stream. To determine where each person is can be hard, even with the best of functional testing. To know exactly what to do for each individual is not a science but rather a trial and error for the most part. For instance, if your doctor perceives you to have high cholesterol due to a blood test and he advises statins – you fill your script, start taking statins and start to feel unwell with muscle weakness and gut issues. You go back to your doctor and he/she says to try another statin and if that doesn’t work, the doctor will suggest to try yet another. If you think medicine, dietetics and science are exact then you’re surely fooled. If we lived in a clean environment without the changes we have seen in the last half century, it may be more black and white but because of what I have discussed previously in this article, this is clearly not the case. Having said that, for most people, a clean diet fixes many health issues. For a smaller number, it may enhance a problem or create further problems that need to be addressed and repaired. To blame real food for bringing on food sensitivities is looking at your life as though it began the day you started the protocol. If eating real food was the problem and eating small amounts of food and fewer varieties of food was an issue, the human species would have died out many years ago. The issue is not the food, the issue is the heightened immune systems response due to the antecedents of our life which I have outlined throughout the article. I want to thank people for their commitment to making themselves healthy by using diet as their jumping off post. Continue with what you have learnt and never stop striving to find the health you need to be fully alive, mentally, physically and emotionally. A lot of thought, perhaps not how we viewed originally. Thank you for bringing our journey to the forefront and what is happening to our bodies.